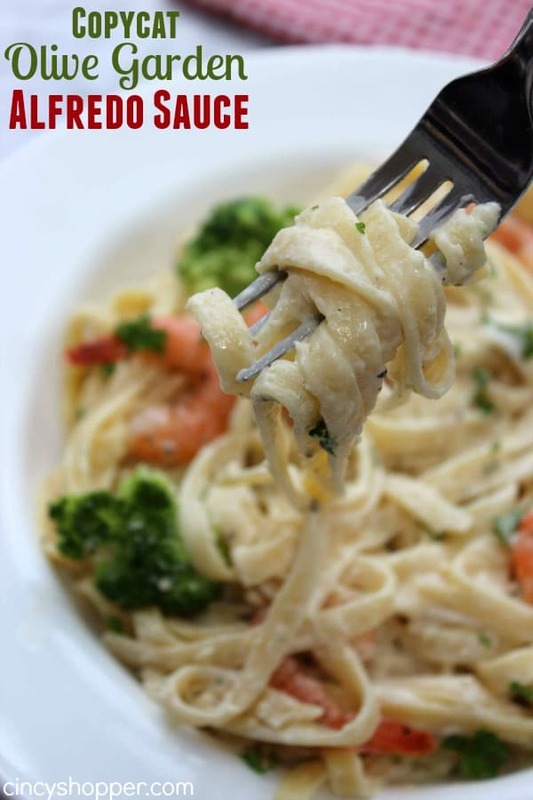 If you are a fan of Olive Garden Alfredo you are going to be saving some big $$’s with this Copycat Olive Garden Alfredo Sauce Recipe. 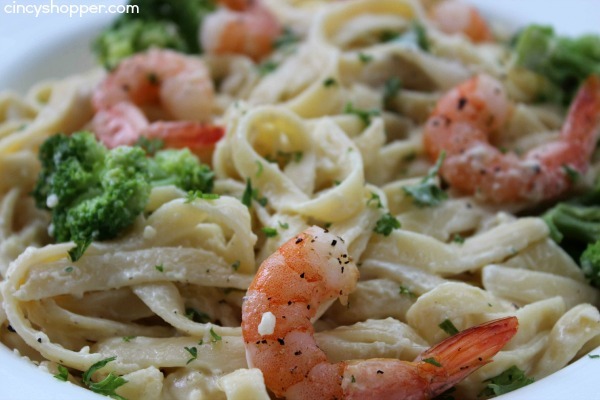 A rich and creamy sauce that is perfect with your favorite pasta. 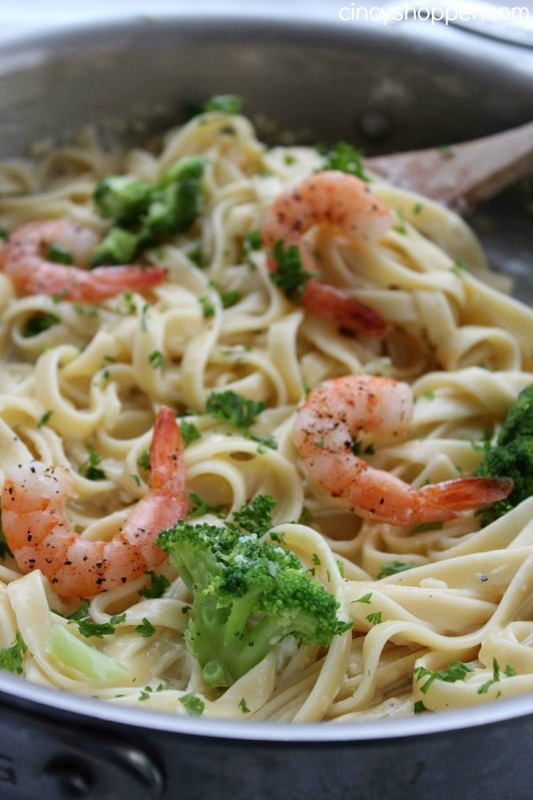 We personally like Fettuccine topped with Alfredo. 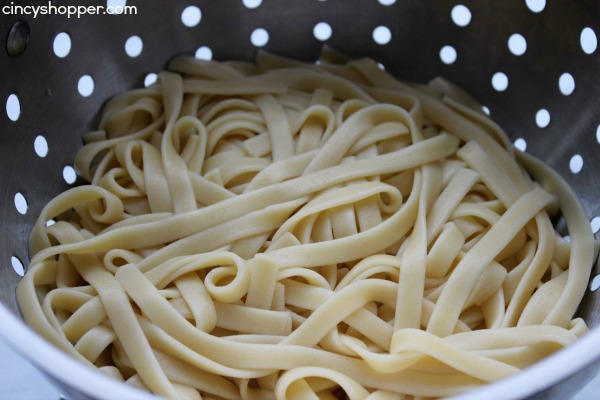 Pasta at it’s best! This is a quick and easy dish that you can whip up for weeknight dinners. I added in some simple shrimp and broccoli (my daughter’s favorite) to make it a bit special. We love eating at Olive Garden but, we really do not like how quickly one meal can add up. My daughter was craving a Olive Garden Salad and a Alfredo with Shrimp entree. In order to please her and our budget I whipped up this dish to pair with our CopyCat Olive Garden Salad Dressing and salads. Cierra was super excited when she smelled this dish cooking as she walked in from running errands. I was super excited that I satisfied her cravings for Olive Garden at home without a huge dining bill. The dish was super delish and will be on our dinner tables often. I am hoping to try the Alfredo Sauce with some chicken next week. YUM! 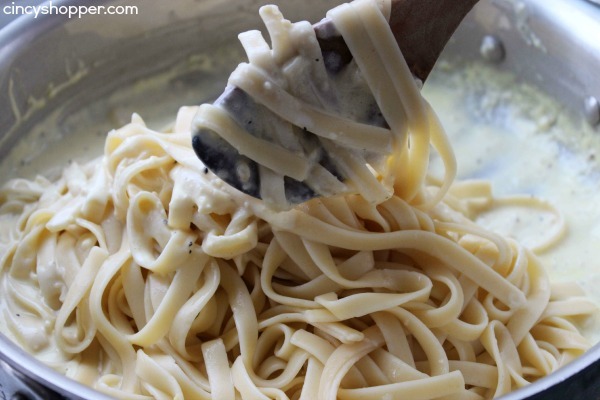 The ingredients needed to make your own CopyCat Olive Garden Alfredo are very inexpensive and simple. 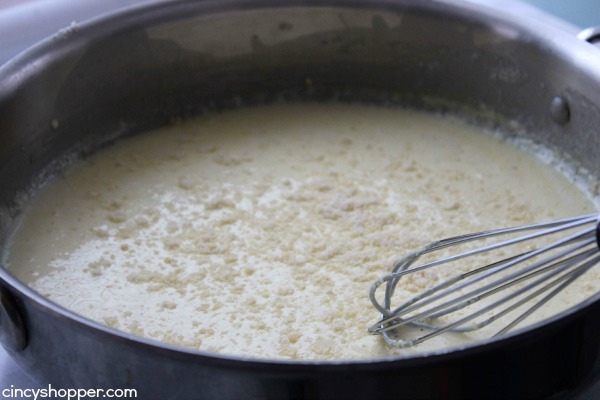 Heavy Cream and Parmesan Cheese will be your main ingredients. 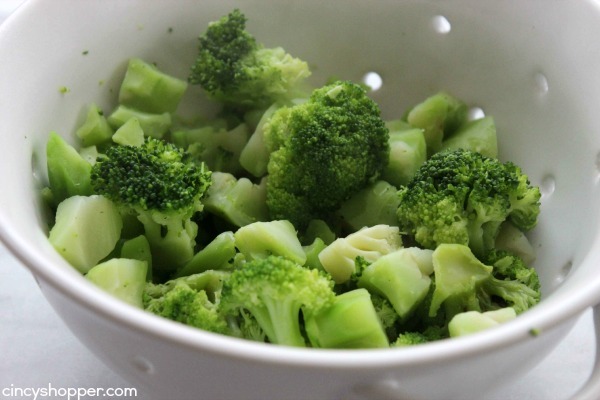 Steam fresh or frozen broccoli. 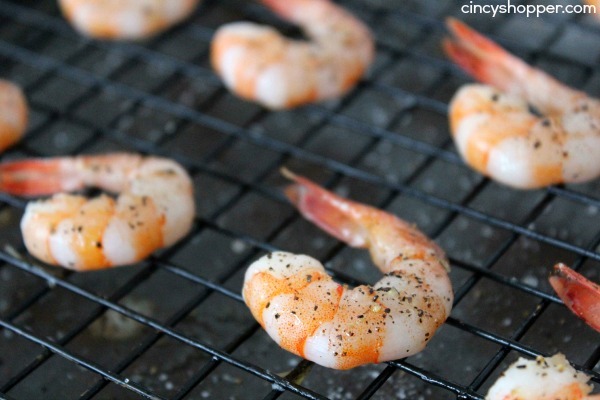 Drizzle shrimp with olive oil and season with salt and pepper. 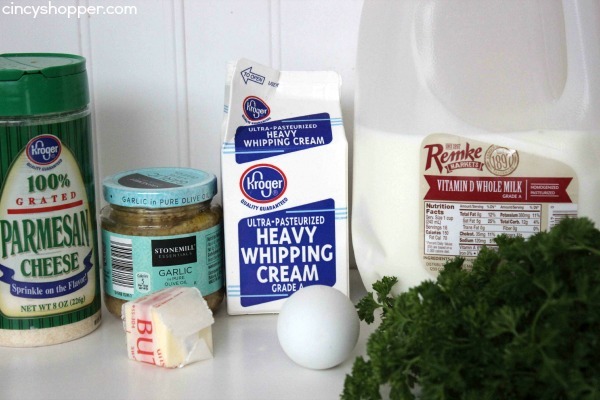 In a skillet or large pan over medium heat, combine butter, garlic, cream and milk. Cook just until ready to boil and remove from heat. 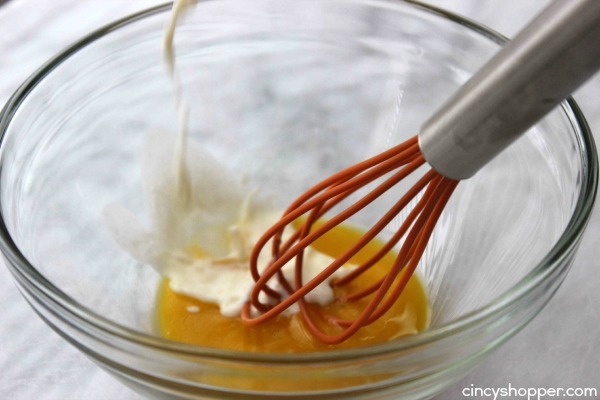 Temper egg yolk by taking a few spoons of liquid from pan and whisking into egg yolk to raise temperature without scrambling it. Add tempered egg yolk and Parmesan to pan and whisk to incorporate. 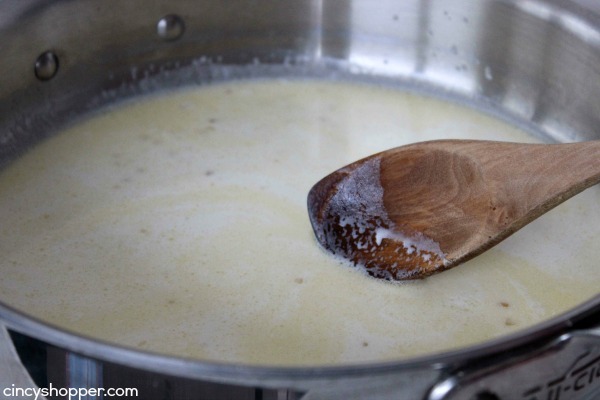 You can gradually add a little more milk if too thick. Add in pasta and gently toss to combine. Transfer to plate and add broccoli and shrimp. Since we saved a small fortune making our CopyCat Olive Garden at home, we will be taking a much needed night at the movies this weekend. Garnish with additonal Parmesan and parsley. 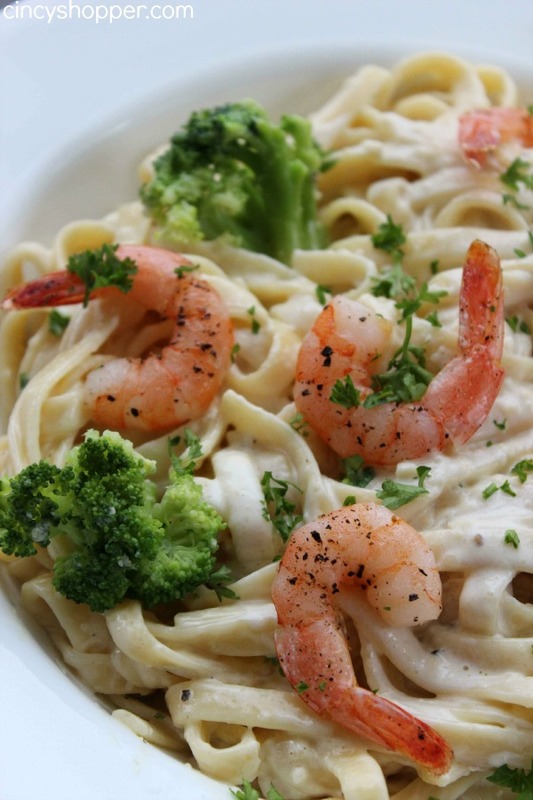 When I was a kid, I was OBSESSED with their shrimp alfredo. :P This looks delicious! I definitely need to try it. Pinned and stumbled! Love their Alfredo Sauce! I’m going to have to add these ingredients to my grocery list. Can’t wait to try it! We love the recipe but wonder if it can be made a little thicker? Ours was pretty runny.